4.4 out of 5 based on 35 bloggers and 4 commenters. 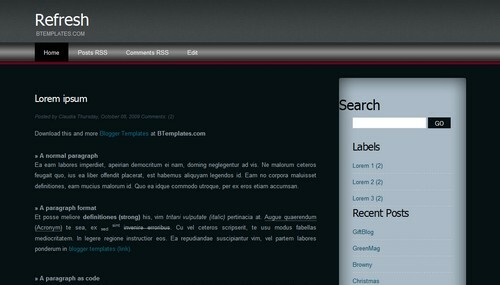 Refresh is a free blogger template with 2 columns, right sidebar and neutral colors. Refresh is a fitting name for this I’d say. I can’t download it. I tryed to by clicking the download but nothing happened only a plank paper. I waited for like 5 hr. and nothing happened.